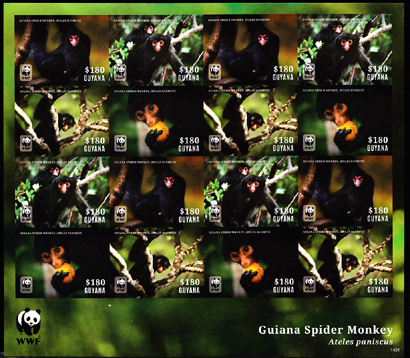 87 ND GUYANA (2014) Spider monkeys (Ateles paniscus)*. Imperforate minisheet of 4. 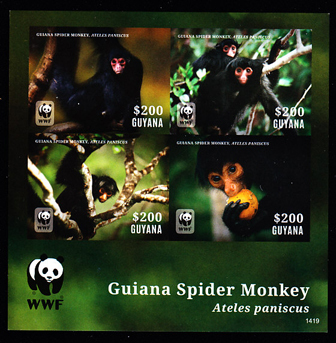 89 ND GUYANA (2014) Spider monkeys (Ateles paniscus)*. Imperforate minisheet of 16.